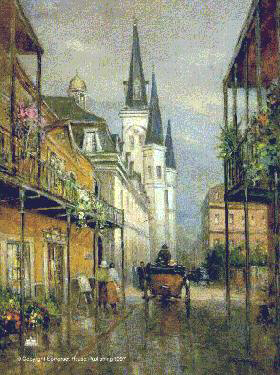 L. Gordon's Limited Edition Print "The French Quarter"
L. Gordon's "The French Quarter"
exudes style, color and charm. and mood of the vieux carre. Limited Edition _1200 Limited edition Signed and Numbered. The French Quarter   30" x 22-1/2"      $125 plus shipping.